If you are a loved one has suffered a serious spinal injury, we may be able to help you get compensation. Every year, thousands of Americans suffer spinal cord injuries. While treatment options for spinal cord injuries have improved significantly, there is still no cure for paralysis and many spinal cord injury victims never walk again. The Centers for Disease Control estimates that a spinal cord injury may cost more than $3 million to treat over a lifetime. If you or a loved one suffered a spinal cord injury due to the carelessness of another person, company, or government entity, our lawyers can help. At Sutliff & Stout, our experienced Houston spinal cord injury lawyers have helped accident victims get the compensation they deserve. For a no-cost consultation about your case, contact us today. A spinal cord injury is especially catastrophic because it can lead to paralysis. Injuries to to the seven cervical vertebrae (C1 to C7) can cause quadriplegia, or paralysis of the arms and legs. An injury to lower vertebrae (T1 to T12 or L1 to L5) may cause paraplegia, or paralysis of the legs. Any spinal cord injury can lead to respiratory, urinary, and gastrointestinal complications. Long-term complications from spinal cord injuries also include psychological side effects, such as depression, anxiety, and insomnia. Tragically, many spinal cord accidents are preventable. Alcohol has been found to play a major role in more than 20 percent of all spinal cord injuries. Spinal cord injuries to athletes are often the result of unsafe equipment. Negligent or even reckless driving is to blame for most car accidents that result in spinal cord injuries. A spinal cord injury can cost millions of dollars over the course of a lifetime. The expenses associated with surgeries, prescription medication, physical therapy, wheelchair equipment, and home and vehicle modifications exceed the annual income of most Houston families. Unfortunately, many of these treatments and services are not covered by standard health insurance plans. If you or a loved one was involved in an accident and suffered a spinal cord injury, a personal injury lawyer may be able to help. 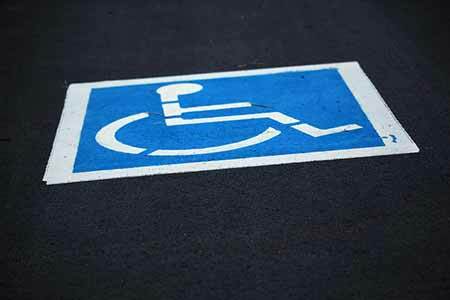 Filing a personal injury lawsuit can help those who have suffered a spinal cord injury due to the carelessness of another recover money damages for their injuries and long-term care. A lawsuit can help spinal cord injury victims gain financial security and a sense of close in knowing that the person or company responsible for their injuries is being held accountable by a court of law. To speak with a personal injury lawyer about your rights, contact us today. Navigate the legal process from start to finish in order to help you obtain the compensation you and your family are entitled to receive under the law. At Sutliff & Stout, we help those who have suffered a spinal cord injury understand what the future will hold. We are dedicated to pursuing all available forms of compensation for our clients. If you or a loved one has suffered a spinal cord injury in Houston or the surrounding areas, contact Sutliff & Stout for a no-cost initial consultation.